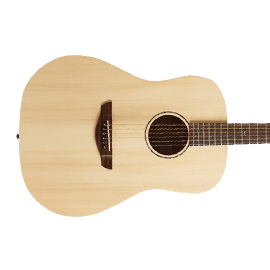 Faith Acoustic Guitars - Andertons Music Co. 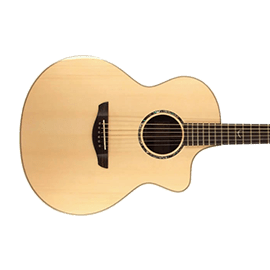 Faith Guitars is an English Acoustic Guitar manufacturer, founded in 2002; they produce world-class acoustic guitars with unique tonewood combinations, all designed with competitive pricing and innovative design in mind! 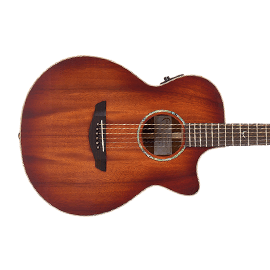 Faith Guitars is an acoustic guitar company based in Shropshire England, and is comprised of a small team of luthiery experts, headed up by none other than Patrick James Eggle. His outside-the-box approach and wealth of guitar knowledge ensures that the Faith product range stands out from the crowd. Faith exclusively use solid tonewood in the construction of their handmade instruments, as it's widely believed that this improves both tone and durability. 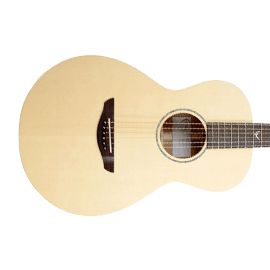 The aim is an instrument that is both desirable and playable in equal measure; you'd be hard-pushed to find another lovingly-crafted instrument of this calibre at this price point! 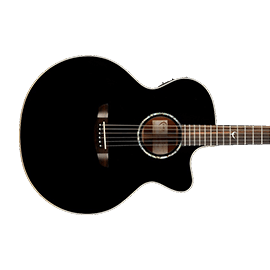 Earth - the Faith Earth guitar is an OM shape (meaning orchestra model), with a flatted 15" lower bout and a shallow body with a cutaway for higher fret access. 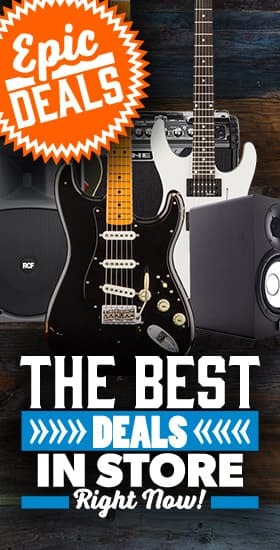 This mid-sized guitar is designed to deliver a balanced sound, with a healthy mid-range response and plenty of low-end. Jupiter - this is the Faith equivalent of a jumbo shape. Its body is deep and wide (with the option of a cutaway in some models) ensuring a typically huge bass response with stunning projection. Its large size requires some taming, but its sound is undeniably rich and full-bodied. 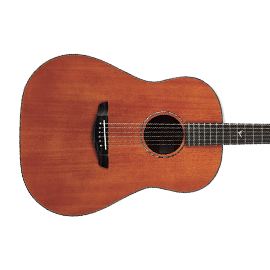 Mars - the Mars is Faith's own spin on the timeless dreadnought shape. 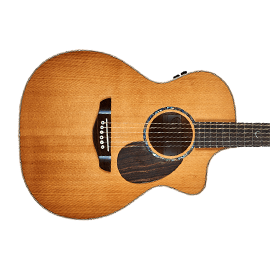 They've deliberately made slight alternations to the traditional dreadnought design, resulting in a more ergonomic, easy-on-the-eyes guitar that still boasts a full, even sound with a hefty mid-range emphasis. Mercury - the Mercury is Faith's parlour guitar. 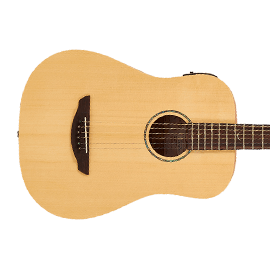 Much smaller than the previously mentioned models, it has a nifty short-scale design, with a 12th fret neck join and slightly lower string tension. The aim of the game here is to provide ultra-easy playability, with a resonant sound thanks to the careful position of the bridge - this tiny guitar is surprisingly loud! Neptune - the Neptune is 16" across its lower bout, meaning that it strikes the perfect balance between jumbo projection and practical playability. It's designed to deliver a full sound with plenty of volume, while never being overbearing; this makes it ideal for an ensemble situation or as a diverse recording instrument. Saturn - this was one of the first Faith guitars introduced in the early '00s. It's a square-shouldered dreadnought design, aimed at being an almost-authentic recreation of the traditional dreadnought shape that dates back to Victorian times. 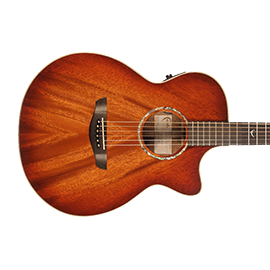 Naturally, Faith & Eggle have employed more modern luthiery techniques to give the Saturn a unique edge, including a cutaway option, a 12-string model, and even some exotic wood choices like Trembesi for distinct sounds. Venus - this is the shape that put Faith Guitars on the map. A 15" lower about a slimmer body depth means that it fits into the OM (orchestra model) category, with a design aimed at emphasising the mid-range for excellent clarity and projection. The Venus range has the most varieties out of any of the Faith shapes, making it arguably their most versatile guitar - it's no wonder that it's won numerous awards over the years. 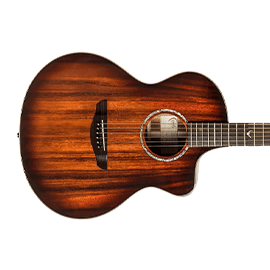 This could be considered the perfect performing acoustic guitar! 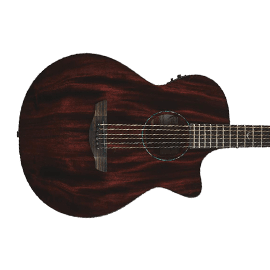 We offer free UK delivery and 0% finance options on our entire Faith Guitars selection - check out the full range below!